Unity Spline2D is a free 2D simple spline library for Unity. Easy to use: define a series of intersection points and that’s it. The spline will pass through those points with a default Catmull-Rom curvature. No need to set tangent control points. Interpolate by Distance: interpolating by t alone can result in varied speeds along the curve if your points are not equidistant. 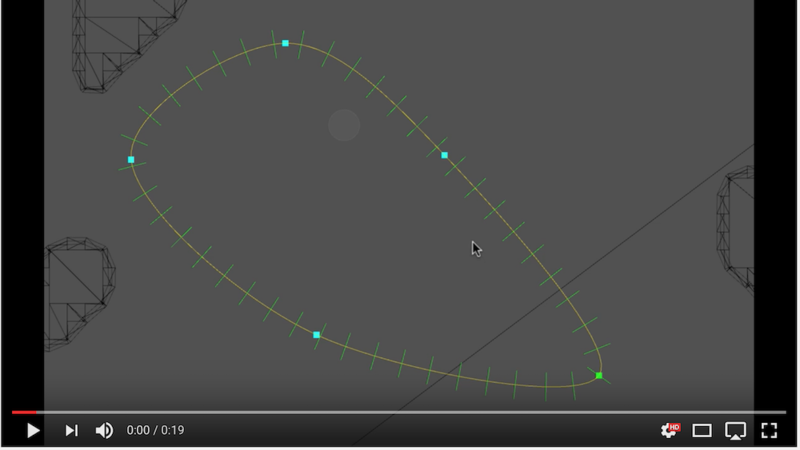 With Spline2D you can ask for a position a specific distance along the curve instead, and therefore traverse the curve at a known speed regardless of the structure of the curve. Place Spline2DInspector.cs in an Editor subfolder somewhere. To use a spline in a scene & save it, use Spline2DComponent as a regular Unity component. There is a inspector with buttons to add/remove points, and you can select points and drag them around to change the curve.